Graham, as Head of East Anglian Chambers since March 2011, divides his time between running a busy set and working for his clients. He deals mainly with real property (including land registration, commercial and residential landlord and tenant, nuisance and other property-related torts, boundaries and easements, trusts of land and constructive or resulting trusts). As well as his property-related work Graham also specialises in contested probate and family provision, mental capacity, contract (including employment covenants and confidentiality), partnership, professional negligence, local government and judicial review. Graham is most likely to appear in the Chancery Division, before the Land Registration division of the First-tier Tribunal (Property Chamber) or the County Court, with occasional visits to the Administrative Court and the Court of Appeal. However, he considers that the less formal but more constructive setting of the mediation suite usually has greater advantages for the client. 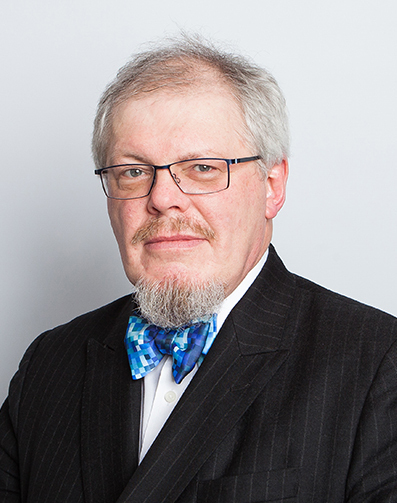 He lectures and writes articles regularly on property and litigation-related subjects and has been mentioned for his “significant property practice” in Legal 500. Boundary and public and private right of way disputes, including successful claims concerning rights over registered common land; also mooring and navigation easements. Claims against trustees of land for losses suffered by estate beneficiaries arising from their wilful refusal to join in a sale of the trust property. Disputes between co-owners under the Trusts of Land and Appointment of Trustees Act 1996. Advising a German company on the wording of a break clause in a lease of commercial property in London, the trigger being a referendum vote against the UK remaining in the EU. Advising on succession rights under the Agricultural Holdings Act 1986. Breach of covenant claims against former employees setting up in competition. Judicial review proceedings concerning the award of a Legal Services Commission contract and the decision of an NHS Primary Care Trust to shut a hospital ward without proper consultation. Housing homelessness appeals under Part VII of the Housing Act 1996. Terminal leasehold dilapidation claims in respect of light industrial and commercial units. Misrepresentation claims arising on sales of land. Successfully defending a claim by an estranged daughter against her sister and sole beneficiary of their mother’s estate under the Inheritance (Provision for Family & Dependants) Act 1975. Successfully defending a substantial claim by a mother against her son, alleging undue influence in his handling of her investments and denying that transfers were by way of gift. Advising a highways authority about the Advance Payments Code for street works under Part XI of the Highways Act 1980. First introduced to the subject of ADR and trained as a mediator as long ago as 1995, Graham came to realise that litigation over points of “principle” is often the result of parties’ failure to make a dispassionate assessment not only of the legal merits but also their genuine interests, and of a reluctance to appreciate that the use of objectively justifiable criteria can assist negotiation. Graham practises as a general or commercial mediator, is a subscribing member of the Civil Mediation Council and a CMC Registered mediator, and in his role as a mediator he has applied skills learnt – as a barrister and tribunal judge and also from his previous mediations – to help resolve disputes covering a wide range of subject areas, including landlord & tenant, building disputes, partnership, breach of contract (from equipment leasing to an introduction agency), rights of way, interests in land, boundary disputes, wills and family provision, and professional negligence. Line v Baker & anor  EWHC 1368 (Ch);  2 P&CR DG14 – Whether following sale of hotel owned by deceased’s estate the transfer by executors of shares in business operating from it at no additional consideration was proper, and whether estate beneficiaries could trace into new property purchased by business. Whether evidence was concealed so as to trigger Limitation Act 1980, s.32. Re Home & Office Fire Extinguishers Ltd  EWHC 917 (Ch) – Determination of issues arising where the two shareholders and directors in a company each sought an order for the compulsory purchase of the other’s shareholding; including whether the conduct of one or the other was unfairly prejudicial under the Companies Act 2006, s.994. R (oao Allan Rutherford Ltd Solicitors) v Legal Services Commission  EWHC 3068 (Admin) – Judicial review of award of LSC contract following tendering exercise. Hale v Norfolk County Council  Ch 717 (CA) – Dedication of land as highway under New Streets Orders, and the proper application of the “hedge to hedge” presumption. Marlton v Turner  3 EGLR 185 – Hedgerows and fencing obligations arising from private Inclosure Awards. Clarke v Smith  EGCS 122 (CA) – Building case about term to be implied in contract concerning sufficiency of foundations. Little v Courage Ltd  69 P&CR 447 (Ch D) – Test case on whether brewer landlord could frustrate option to renew 5 year lease by refusing to enter into linked business agreement.